There’s a dark corner of your Applications folder that few users dare go: the Utilities folder. 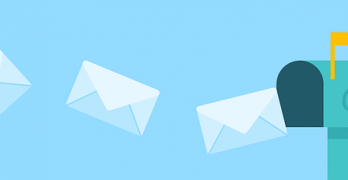 In here, you’ll find many mysterious applications with opaque uses and confusing titles. We’ve already covered a few, like Activity Monitor and Console. 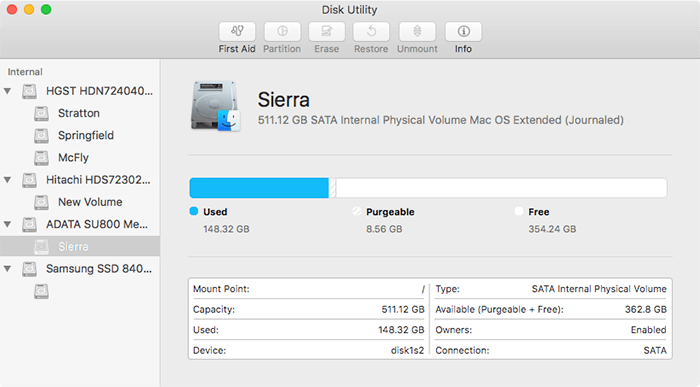 But those aren’t nearly as useful as Disk Utility, an app that many Mac users would use if they knew you could format hard drives with Disk Utility. 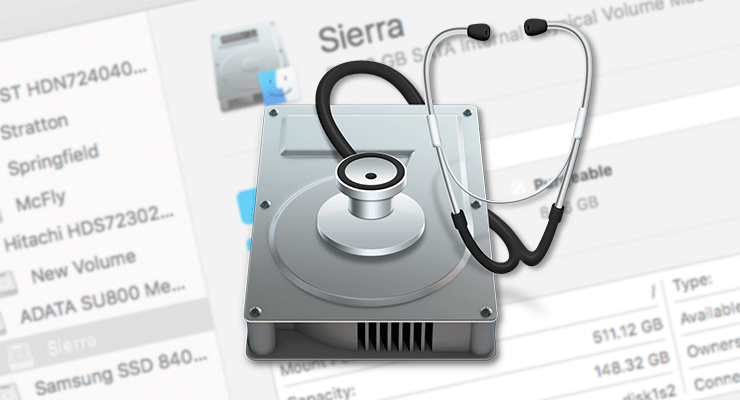 The application’s primary use is to format hard drives with Disk Utility. Formatting a drive erases all its contents, preparing it for new data and replacing the file table. 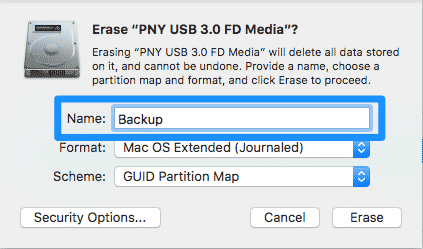 If you purchase a new hard drive formatted with a Windows-centric flavor (NTFS or FAT32), you’ll need to format it in a Mac-friendly format before you can get the most use out of it. 1. 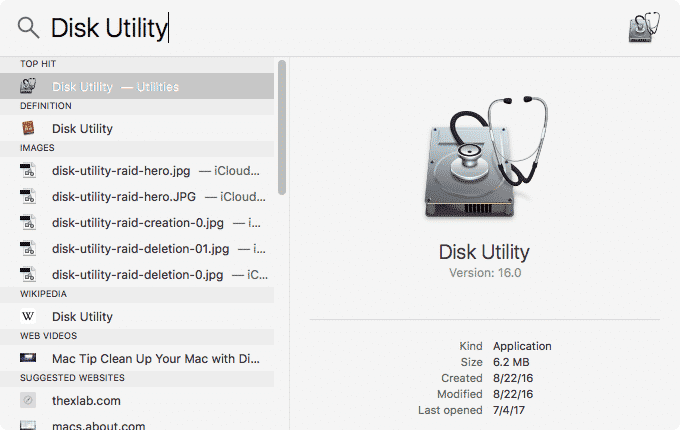 Open Disk Utility from /Applications/Utilities/Disk Utility.app or type “Disk Utility” into Spotlight. 3. 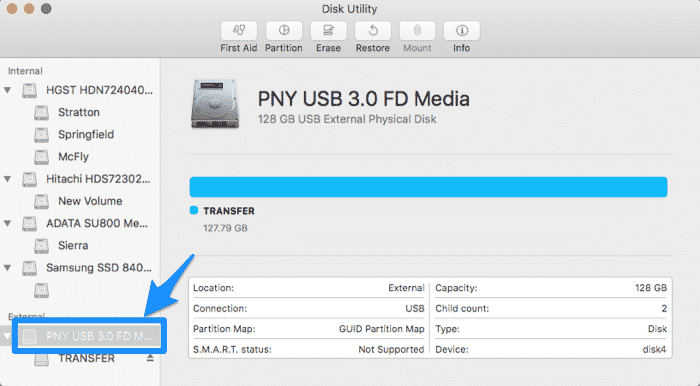 To format a disk, first select the drive from the left-hand pane in Disk Utility’s main window. 4. Notice that there are two “drives” I can select in the pane. There’s the one I’ve selected called “PNY USB 3.0.” That represents the physical disk, which contains all the partitions on the drive. The “drive” below it represents the partition named TRANSFER. 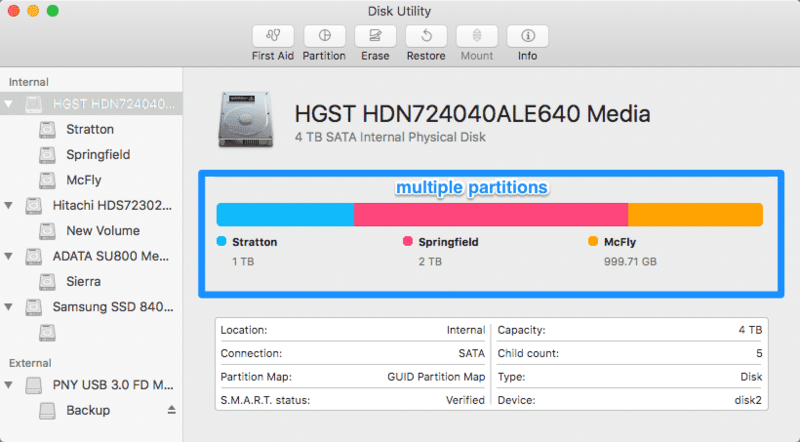 A partition is just a separate logical section of a disk that’s managed independently from other partitions. You can think of partitions on a hard drive like cabinets in your kitchen: even though every cabinet is in your kitchen, they all have their own sizes and contents. You can empty one cabinet without emptying your entire kitchen, or add a new door to cabinet without touching the other cabinets. Every storage device has at least one partition. Some, like the HGST drive above, have multiple partitions. 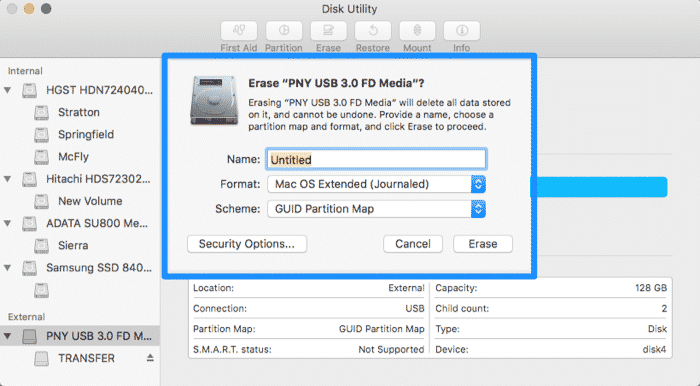 When you’re completely erasing a drive, you’ll want to select the physical disk to make sure you erase everything, rather than just erasing a partition. 4. By clicking on the drive, I reveal some information about it. The partition map, which in this case shows only one partition, will look more complex for drives with multiple partitions. 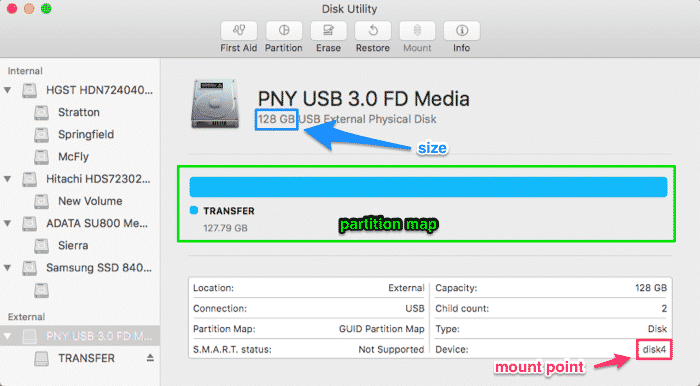 The mount point is an obscure bit of data you might need for certain rare operations, but it won’t have any bearing on formatting our drive. 1. 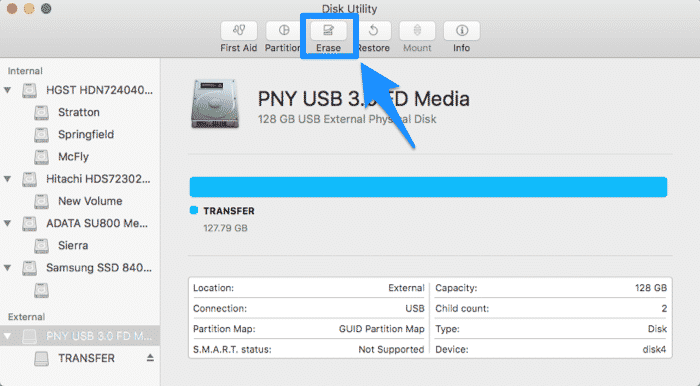 To format hard drives with Disk Utility, select the drive you want to format and click the “Erase” button in the menu bar. This will just open the menu, and you haven’t erased anything yet. 2. 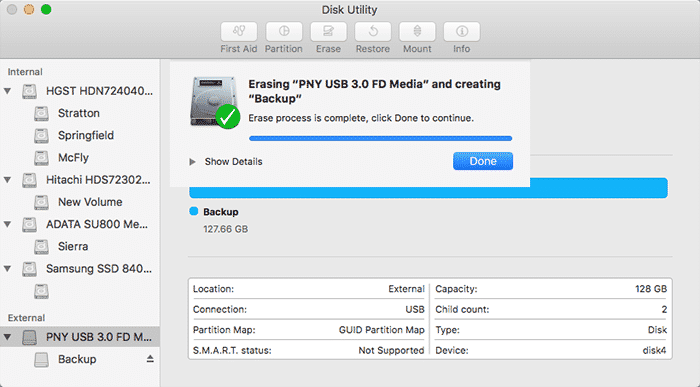 In the revealed menu, you’ll see some options about how to format hard drives with Disk Utility. 3. First, let’s give the drive a sensible name. 4. Next, we can select a disk format. Unless you have a reason to change it, the default option is a perfectly acceptable choice. Encrypted: The encrypted options use full-disk encryption to keep your data safe from third parties. Clicking this will prompt you to enter a password that you’ll use to unlock the data on the disk. If you intend to store secure information on your drive, encryption is mandatory. 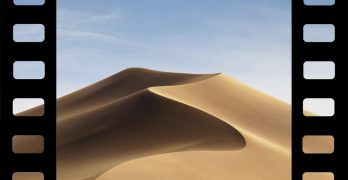 Mac OS Extended (Case-sensitive): this format uses a case-sensitive file table, meaning that a file named “Report.doc” and “report.doc” are not considered to the same. This can mess up some applications like Photoshop, which are written without case-sensitivity in mind, so use with caution. ExFAT: a modern version of the older Windows FAT system. It works on both Windows and Mac systems, though it doesn’t work perfectly. 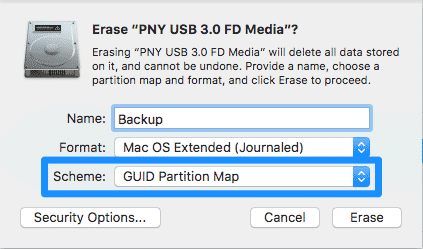 If you need to swap a drive back and forth between Mac and Windows computers, ExFAT is the best choice. MS-DOS (FAT): the old Windows file format. This is a more reliable but limited version of ExFAT that works on older or embedded systems, like TVs. If you’re having trouble with an ExFAT drive, try formatting it with FAT instead. Note that macOS won’t be able to save files larger than 4GB on the drive. Windows NT Filesystem: this option won’t appear on vanilla installations. It comes from the third-party app Paragon NTFS, which provides compatibility with Windows NTFS drives. 6. 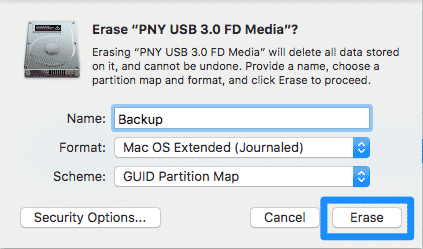 Optionally, you can click “Security Options” to select how to erase the disk. If you want to remove sensitive data from the disk, move the slider to “Most Secure” to overwrite the data with garbage several times. Keep in mind it will take exponentially longer erase the disk, since you’ll have to effectively “copy” a full disk’s worth of garbage data each time. In most cases, using the default of “Fastest” is acceptable. 7. 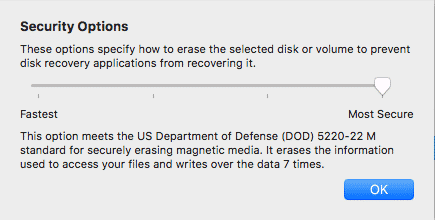 When you’re ready, click “Erase” to erase the disk. This will remove all data from the disk, so make sure there’s nothing on the drive you want to keep. 8. 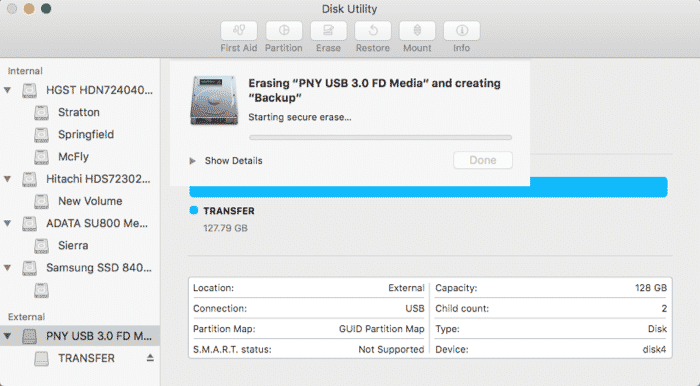 The erase process will begin, and the drive will temporarily disappear from Finder and the Disk Utility sidebar. Click “Show Details” if you want to get a description of formatting process. 9. When the format finishes successfully, you’ll see the drive appear in Finder and the Disk Utility sidebar. You’ll also get a success message in Disk Utility. What is Apple File System?